Legitimate opposition parties are banned from participating in Egypt’s first parliamentary elections since junta authority seized power by coup d’etat – complicit with Washington in ousting President Mohamed Morsi, now imprisoned on trumped up charges. Strongman ruler Abdel Fattah al-Sisi is a US War College graduate, taught to crush all opposition to junta rule, undisguised despotism, governing by state terror. Democracy is strictly forbidden. Elections underway are farcical by any standard, proceeding in two phases for 596 parliamentary seats (568 elected ones, the others Sisi-appointed) onOctober 18 and 19 in 14 governorates, then in 13 remaining ones on November 22 and 23. Run-offs will be held in districts with no clear winner. Final results are expected in December. Junta supporting candidates alone are participating. Legitimate regime opponents risk imprisonment or execution, one way or another excluded from the political process. Sisi urged Egyptians to “(l)ine up in front of polling stations and plant with your votes the hope for a brighttomorrow for our new Egypt” – impossible with him in charge. Despotism isn’t democracy. Junta power rules ruthlessly. Fundamental freedoms don’t exist. Tens of thousands of regime opponents languish in gulag hell – guilty of challenging tyranny. 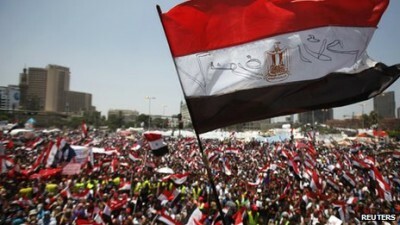 Journalist Khaled Dawoud said “(t)here are no big issues being discussed…(I)t’s not an election of ideas. (Candidates) are competing over who will be” Sisi stooges. “You don’t join parliament to oppose the government.” Membership means being part of a privileged club, everyone reading from the same page. Sisi’s 2014 decree neutralized political parties – 75% of seats reserved for unaffiliated candidates to give junta power brokers a clear advantage. Sisi arranged things to solidify his grip on power, assuring a rubber-stamp parliament once the political process is completed, a meaningless exercise in junta rule, legitimizing the illegitimate. Press censorship is rife, government criticism strictly forbidden. Offenders can expect harsh treatment. No one against Hosni Mubarak is running for office. Morsi’s Muslim Brotherhood party was banned, officially designated a terrorist group, their members when apprehended are imprisoned. Many pro-democracy supporters went underground or live abroad in exile. Democracy International monitors elections. On Friday, it said it’s unable to “conduct the comprehensive observation mission earlier envisioned” because junta officials refused to issue visas for some members of its team. Most voters showing up are privileged Egyptians and elderly Sisi supporters. The new chamber will rubber-stamp his rule. A monitor at a working-class Cairo polling station said only around 10% of eligible voters showed up. Most other locations had more security force presence than voters. Final turnout will be very low, no matter the official count, likely way inflated when announced. Muslim Brotherhood member Wafaa Hefney called the election “a farce. I don’t think anyone in Egypt is taking it seriously. All the candidates are” junta approved. Egypt has had no parliament since June 2012 – when a court arbitrarily dissolved a body dominated by Muslim Brotherhood members. Reuters said Egypt’s constitution may be amended post-election to concentrate power solely in Sisi’s hands – to “legitimize” his despotic rule, officially making parliament a rubber-stamp body only, delegitimizing it before established if reports are accurate.